In this article you’ll find grammatical constructions, the most important expressions and the most useful words that will help you pass the HSK exam level 4. You’ll surely be more comfortable knowing how the exam is laid out. The HSK 4 exam is divided into 3 smaller sections: 45 listening questions (lasting 30 minutes); 40 reading questions (lasting about 40 minutes); 15 writing questions (lasting about 25 minutes). At the end of each section you’ll be given 5 minutes to write your answers on the famous 答题卡 (datika) “answer card” (a pink color); you’ll have a total of 105 minutes available. I recommend that when you fill in your answers on the answer sheet, try to fill in the right boxes well with a 2B pencil (don’t make an X, you have to fill in the boxes!). Now let’s take a look at how each smaller section is laid out. First part – 判断对错 (panduan dui cuo) “choose true or false”. In this first part composed of 10 questions, you’ll hear something stated and you have to figure out if it corresponds or not with what is written in the question. Second part – 请选出正确答案 (qing xuanchu zhengque da’an) “please choose the correct response”. In this second part made up of fifteen questions, you’ll be asked to choose the correct choice out of four possible answers. Third part – 请选出正确答案 (qing xuanchu zhengque da’an) “please choose the correct answer”. In this third part composed of twenty questions, you’ll be asked to choose the right answer out of four phrases listed. It’s the same as the second part but much more difficult. Attention: each of these questions will be spoken only once. 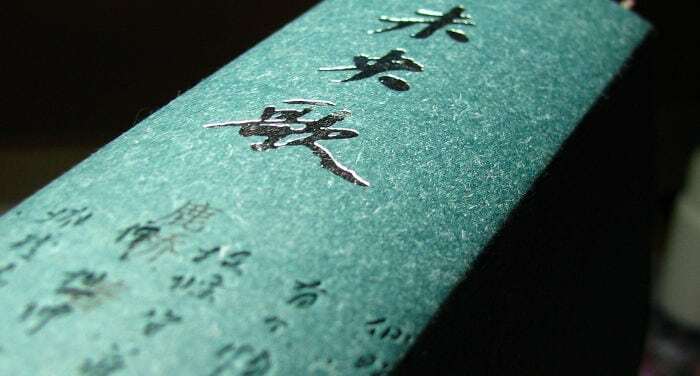 First part – 选词填空 (xuan ci tiankong) “choose the words and fill in the empty spaces”. In this first part, you’ll be provided with five words to be inserted into the blank spaces so as to logically complete the five written phrases. In this first part there’s another 选词填空 (xuan ci tiankong) “choose the words and fill in the empty spaces”. Identical to the first part, you’ll have five words available, but this time it will be much harder and the words will be much sought-after. Second part – 排列顺序 (pailie shunxu) “reorder the sequence”. In this second part you’ll be given ten rather long phrases; each of these phrases are written in random order over three lines: your assignment is to put them in the right order so that they make sense. Third part – 请选出正确答案 (qing xuanchu zhengque da’an) “please choose the correct response”. In this third part made up of 20 questions, you’re asked to choose the correct answer from the four options listed. First part – 完成句子 (wancheng juzi) “construct the phrases”. In this first part you’ll find 10 phrases with words randomly distributed which you’ll have to put in order to make sense. Second part – 看图，用词造句 (kan tu, yong ci zao ju) “look at the images and use the words to construct a phrase”. In this second part you’ll find five images matching five words: for each image you’ll have to construct a phrase using the words provided. Grades: the highest grade is 300; the minimum passing score is 180. Each of the three subsections are worth 100 points. 缺点 (quēdiǎn) “defects”，优点 (yōudiǎn) “pray”，热闹 (rènao) “noisy, annoying”，打印机 (dǎyìnjī) “printer”，符合 (fúhé) “corresponding to, to be congenial to”，理想 (lị̌xiǎng) “ideal”，减肥 (jiǎnféi) “go on a diet”，赢 (yíng) “to win”，输 (shū) “to lose”，放弃 (fàngqì) “to give up”，撞车 (zhuàngchē) “to have a car accident”，丢 (diū) “to lose”，弄 (nòng) “to do”，脾气 (píqi) “temperament”，后悔 (hòuhuǐ) “to have regrets, repent”，坚持 (jiānchí) “to persist, to insist”，收拾 (shōushi) “to put in order”，提醒 (tíxǐng) “to remind, to remind someone to do something”，反映 (fǎnyìng) “to reflect, to bring back, to make known”，需要 (xūyào) “to be necessary, need”，了解 (liạ̌ojiě) “to understand, to comprehend”，民族 (mínzú) “ethnicity”，价格 (jiàgé) “price”，请假 (qǐngjià) “to take a vacation”，环境 (huánjìng) “environment”，精彩 (jīngcǎi) “spectacular, marvelous”，成熟 (chéngshú) “mature”，加班 (jiābān) “to work overtime at work”，责任 (zérèn) “responsibility, to have to”，照顾 (zhàogu) “to take care of”，头疼 (tóuténg) “to have a headache，区别 (qūbié) “differences”，脏 (zāng) “dirty”，签证 (qiānzhèng) “visa”，部分 (bùfen) “part”，锻炼 (duànliàn) “to exercise, to train”，咸 (xián) “salty”，警察 (jǐngchá) “policeman”，骗 (piàn) “to cheat”，迟到 (chídào) “to be late, to delay”，湿润 (shīrùn) “humid, to moisten”，地址 (dìzhǐ) “address”，酸 (suān) “harsh, acid”，正式 (zhèngshì) “formal”，温度 (wēndù) “temperature”，害羞 (hàixiū) “timid”，耐心 (nàixīn) “patience”，举行 (jǔxíng) “to take place, to keep”，挂 (guà) “to hang”，吃惊 (chījīng) “amazed, to be amazed”，提供 (tígōng) “to furnish”，兴奋 (xīngfèn) “excited”，电梯 (diàntī) “elevator”，害怕 (hàipà) “to fear”，粗心 (cūxīn) “superficial, negligent”，继续 (jìxù) “to continue to”，困难 (kùnnan) “difficulty”，关心 (guānxīn) “to hold at”，降低 (jiàngdī) “to reduce, to lower, to diminish”，理发店 (lǐfàdiàn) “barber, hair stylist”，讨论 (tǎolùn) “to argue”，困 (kùn) “sleepy”. The list of vocabulary words in the HSK 4 exam (translated into many languages) can easily be found on the web, here, for example. Attention: the translations listed below are written in a way to best understand the construction; they would be rendered differently in one’s native language! Moreover, all the examples are taken from the HSK 4 simulations, so it wouldn’t be a bad idea to study them well. 1 – 还没 (hai mei) “not yet”: 飞机还没起飞 (feiji hai mei qifei) “the plane hasn’t yet taken off”; 他怎么还没来？(ta zenme hai mei lai?) “how is it that it hasn’t arrived yet?”; 调查结果还没出来吗？(diaocha jieguo hai mei chulai ma?) “the results of the study haven’t been published yet?”; 他们还没睡醒吗？ (tamen hai mei shuixing ma?) “are they still not awake?”. 2 – 得 (de) “complement of degree”: 她唱得很好 (ta chang de hen hao) “she sings very well”; 衣服他穿得多 (yifu ta chuan de duo) “he is heavily dressed”; 衣服他穿得少 (yifu ta chuan de shao) “he is lightly dressed”; 他翻译得不正确 (ta fanyi de bu zhengque) “he hasn’t translated correctly”; 安排得很好 (anpai de hen hao) “very well organized”. 3 – 觉得 (juede) “to think, to hold, to feel”: 经理觉得那个人怎么样？(jingli juede na ge ren zenme yang?) “how can the director think that I’m that person?”; 黄色和白色让人觉得心情愉快 (huang se he bai se rang ren juede xinqing yukuai) “yellow and white make people feel happy”; 我觉得很舒服 (wo juede hen shufu) “I feel comfortable”; 当我觉得累的时候，我就找一个安静的地方 (dang wo juede lei de shihou, wo jiu zhao yi ge anjing de difang) “when I feel tired I look for a peaceful place”; 他觉得热 (ta juede re) “he feels hot”; 有时觉得很无聊 (you shi juede hen wuliao) “at times I think he’s annoying”. 4 – 换 (huan) “to change, to exchange”: 换个箱子 (huan ge xiangzi) “to change boxes”; 恐怕我得换个大一点的行李箱 (kongpa wo dei huan ge da yi dian de xinglixiang) “I fear I’ll have to change it with a larger suitcase”; 我想换专业 (wo xiang huan zhuanye) “I want to change professions”; 世界上有很多是买不到、也换不来的 (shijie shang you hen duo mai bu dao, ye huan bu lai de) “there are many things in the world that you can’t buy or change. 5 – 值得 (zhide) “to be worth it, to deserve”: 真正的朋友值得永远你信任 (zhenzheng de pengyou zhide yongyuan ni xinren) “true friends always deserve your trust”; 值得我们重视和尊重的，正是简单的爱情 (zhide women zhongshi he zunzhong de, zheng shi jiandan de aiqing) “simple love is what merits our respect and attention”; 值得关注 (zhide guanzhu) “it’s worthy to be considered”. 6 – 不仅仅……，而且…… (bu jinjin…, erqie…) “not only…, but also…”: 茶不仅仅一种饮料，而且是一种文化 (cha bu jinjin shi yi zhong yinliao, erqie shi yi zhong wenhua) “tea is not only a type of beverage, but also a type of culture”; 道歉并不仅仅是一句简单的“对不起”，而且道歉时应该让人感觉到你真心的歉意 (daoqian bing bu jinjin shi yi ju jiandan de “duibuqi”, erqie daoqian shi yinggai rang ren ganjuedao ni zhenxin de qianyi) “to ask forgiveness is not just saying “sorry”, but when you ask for forgiveness you need to express your repentance”. 7 – 因为……，所以…… (yinwei…, suoyi…) “since…, then…”: 因为昨天穿得少，所以感冒了 (yinwei zuotian chuan de shao, suoyi gan mao le) “since I was lightly dressed yesterday, I got a cold”; 因为不同的颜色代表不同的性格，所以你喜欢哪种颜色就说明你是哪种性格的人 (yinwei bu tong de yanse daibiao bu tong de xingge, suoyi ni xihuan na zhong yanse jiu shuoming ni shi na zhong xingge de ren) “since different colors represent different characters, the color you choose tells what kind of person you are”. 8 – 对 (dui) “towards, in relation to”: 对当地的文化有一些简单的了解 (dui dangdi de wenhua you yi xie jiandan de liaojie) “I superficially understand the local culture”; 观众对什么不满意？ (guanzhong dui shenme bu manyi?) “what is the public unhappy with?”; 我 对篮球感兴趣 (wo dui lanqiu gan xingqu) “I’m interested in things having to do with basketball”; 长时间看电视对眼睛不好 (chang shijian kan dianshi dui yanjing bu hao) “watching the TV for too long hurts the eyes”; 语言环境对学习语言有重要的作用 (yuyan huanjing dui xuexi yuyan you zhongyao de zuoyong) “the linguistic environment has a strong effect when it comes to learning the language”; 我对现在的这份工作比较满意 (wo dui xianzai de zhe fen gongzuo bijiao manyi) “I’m rather happy with my current work”; 这种药对头疼很有效 (zhe zhong yao dui touteng hen youxiao) “this medicine is very effective for headaches”; 抽烟对身体不好 (chouyan dui shenti bu hao) “smoking is bad for your health”; 教育对一个国家的发展有极大影响 (jiaoyu dui yi ge guojia de fazhan you jida yinxiang) “education has a huge influence when it comes to a nation’s development”. 9 – 无论……，也/都…… (wulun…, ye/dou…) “it doesn’t matter who / regardless of…, however…” or “at any cost, in any case”: 无论你是穷人还是富人，你也要尊重别人 (wulun ni shi qiongren haishi furen, ni ye yao zunzhong bieren) “regardless if you are poor or rich, you still have to respect your neighbor”; 司机喝酒后不允许开车。因为无论对自己还是对其他人，这样做都是极其危险的 (siji he jiu hou bu yunxue kaiche. Yinwei wulun dui ziji haishi dui qitaren, zhe yang zuo dou shi jiqi weixian de) “Drivers are not allowed to drive after drinking. Because it doesn’t matter if it’s for yourself or others, that would be extremely dangerous”; 无论成功还是失败，努力过的人都应获得掌声 (wulun chenggong haishi shibai, nuli guo de ren dou ying huode zhangsheng) “regardless of success or defeat, people who work hard should receive praise”. 10 – 让 (rang) “to let, to make sure, to permit, to allow”: 工作压力太大，抽烟让我轻松一会儿 (gongzuo yali tai da, chouyan rang wo qingsong yi huir) “the stress from work is too much, smoking lets me relax a little’”; 父母的鼓励让他后来成为一位优秀的演员 (fumu de guli rang ta houlai chengwei yi wei youxiu de yanyuan) “his parent’s encouragement later allowed him to become an exceptional actor”; 这本小说的浪漫故事让人特别感动 (zhe ben xiaoshuo de langman gushi rang ren tebie gandong) “the romantic story of this novel particularly moves people”. He likes to listen to popular music. Each person has their own strengths and weaknesses. Have you found the differences between these two photos? His idea doesn’t correspond with reality. I plan on accompanying my uncle to see the Great Wall. Frequent reading of newspapers can raise one’s ability to express themselves in the language. Maybe this art film festival will be held in Beijing. Please make two copies of that form. The annual income of many restaurants surpasses 100 million. Is it even possible that you don’t know this law? That mountain looks like cattle. The bank decided to take on a highly qualified manager. Smoking isn’t allowed in the hospital. It would be good to change your password again. It’s often difficult to change a first impression. The internet has decreased the distance between people. His cough always gets worse. Those who enrolled this year are half of what they were least year. Students, please line up in order. To pass the HSK 4, this guide is not enough. You’ll have to also study the words well, which you can also find on Youtube. I recommend the YouTube channel Chinese Zero to Hero, which you can find here. On the Chinese Test site you’ll find further simulations. When it comes to material on paper, just type in “HSK 4” in Amazon and you’ll find lots of books. One book is as good as another; what counts is to do the practice tests well and repeat them many times. Study well! Born in Italy in 1992, he graduated in Chinese and English Language from the University fo Enna Kore, in 2014. Currently he's Professor of Chinese Mandarin in Caltanissetta, while he also keeps studying Japanese and Classic Chinese at University of Torino.